At a recent Square Enix preview event, I was able to get my hands on the first episode of the new Hitman game from IO Interactive arriving March 11th. 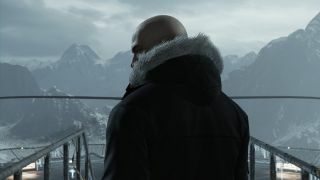 After the more limited, controversial Hitman: Absolution, IO took a step back from story and a step towards sandbox. The new Paris level is massive, bigger than any in Hitman's history, and brimming with creative ways to infiltrate and attack assigned targets. It's hard to say right now whether or not a bigger sandbox is a better sandbox—the more opportunities available, the more trial and error to find them all. And a few components, like controls and graphical fidelity, feel a bit dated and unrefined. But it still feels like a return to Blood Money-era Hitman, where player freedom and creativity matter more than anything. For more in-depth coverage of the game, check out our written preview.